Wins for the Pelicans, the Rockets and reigning champions the San Antonio Spurs got the NBA 2014/15 season off to a great start, but there were only a small number of games taking place on opening day. This was a good appetiser for the new campaign but it is from today that the action really starts to heat up and the basketball betting action starts to get exciting from this point in. There are 12 matches to look out for on the 29th of October (check local times if you want to follow the games in-play) and we look at three of the games in more depth, if you want to get a feel for the basketball action that is taking place today. As we all know, the Pacers have a number of injury problems to contend with. Paul George is a long term absentee who may not play this season but in the past few days, The Pacers have suffered a number of other injury blows. George Hill, David West and C.J. Watson have all been ruled out for this match and for varying lengths of time at the start of the season. Rodney Stuckey is also carrying a foot injury but he is expected to start on the bench and get some game time. For all their problems though, you would expect the Pacers to sneak past the 76ers, who have the lowest payroll in the league by a considerable margin. With veteran star Jason Richardson still missing with injury, Tony Wroten and NBA debutant Nerlens Noel will be carrying the offensive hopes for the 76ers in this match. Nerlens missed all of last season with an ACL tear so he will have plenty of time to make up for this season. Last season, the 76ers lost out in all of their three meetings with the Pacers, but they never lost by more than 9 points. With the Pacers having a lot of injury problems, the odds of 1.90 on the 76ers at +7.0 may be worth looking into. The absence of the MVP from last season would be a blow to any team and this is something that the Thunder has to deal with as they hit the road to Portland. The loss of Kevin Durant is a blow but this means that all eyes will be on Russell Westbrook who has a chance to consolidate his place in the line-up and in the hearts of the fans. Reggie Jackson and Jeremy Lamb are out with injuries and the Thunder will be looking towards Serge Ibaka to be influential at both ends of the court in the absence of so many other key players. The Trail Blazers are in better shape at the moment with Damian Lillard and LaMarcus Aldridge looking forward to continue the good form that the Blazers achieved last campaign. Last season was the deepest play-off run that the Blazers had made in 14 years and the team will be keen to go as far, if not further, this campaign. With guard Steve Blake and centre Chris Kaman added to the bench of the team that played efficiently without scoring freely last season, the Trail Blazers have a bit more strength in depth but they still need to be more productive in offence this campaign if they want to go further than they managed last season. A tight game is likely to be on the cards and an Oklahoma win is not out of the question which means the odds of 1.90 for the Thunder +8.0 are attractive. Injuries to key players hampered the Nuggets last campaign but now that they have a full squad to choose from for the 2014/15 campaign, they will be keen to improve on their 11th placed position in the Western Conference. The Pistons have the same core as last campaign, which means that top scores like Brandon Jennings, Greg Monroe and Josh Smith all return, but they have added Jodie Meeks, Caron Butler and DJ Austin to the squad, which means that they will have a touch more strength in depth this campaign. If you look towards history, the Pistons have lost 5 in a row in Denver and they have lost 7 of their last 8 games with the Nuggets. 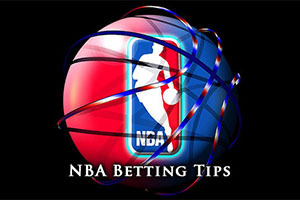 If you fancy the Nuggets to state their dominance over the Pistons, you will find odds of 1.90 for Denver -7.0.